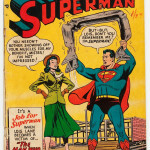 Below are some recent sales & values for Superman comic books issues #71 – #80. The values below normally represent books that have already been graded by a professional authentication service, which is an added cost/fee. 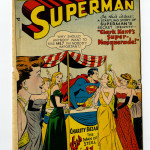 In Superman #71, the story revolves around Superman’s secret identity “Clark Kent’s Super-Masquerade.” The front cover features Superman in a carnival booth with women lined up to kiss him. 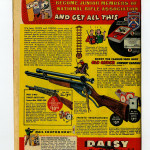 Lex Luthor makes an appearance in this issue. 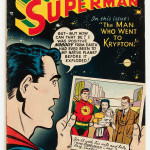 The story in Superman #72 comic book revolves around a space voyage that is filled with strange failures. 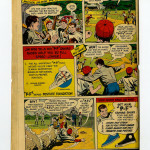 Prankster makes an appearance in this issue. The darker/black boarder on this comic book makes for finding one in good condition fairly difficult, as chipping and creases are easier to see. 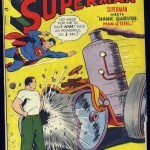 In this issue of Superman, he meets Hank Garvin Man of Steel. 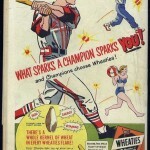 The back cover features a Wheaties cereal advertisement with Stan Musial. 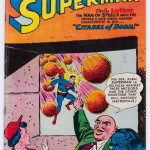 This issue of Superman comics features a story revolving around Lex Luthor who also appears on the cover. 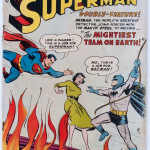 Superman #76 is a significant comic book because Batman makes an appearance in the story and is on the front cover. Batman & Superman learn each other’s secret identities for the first time. 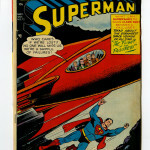 Finding issues of Superman #76 for sale in good condition isn’t particularly difficult, but they sell for fairly large price tags. 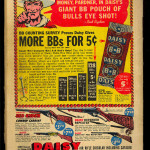 The back cover features a Wheaties ad featuring Yogi Berra. 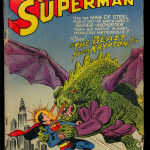 This issue of Superman contains a story-line about The Beast from Krypton who is featured on the front cover. 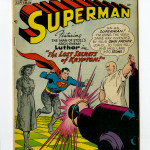 Issue #79 of Superman features a Lex Luthor appearance. 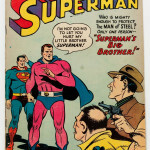 This issue of Superman #80 features Superman’s “Big Brother” on the front cover. 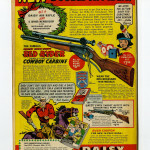 This is the 1st appearance of Halk Kar.